What does the Chinese New Year of the Monkey hold for you? Welcome to the Year of the Red Fire Monkey 2016 which is also known as the 4713th Chinese year. According to Chinese legend, the first king (not emperor) of China was known as the Yellow King in the year 2697 BC. According to the Chinese lunar calendar, the official Chinese new year date is February 8, 2016 which coincides with the peak of the New Moon. The New Moon represents “New Beginnings” and the beginning of the Spring Festival. In most cultures, the new year is a time to be thankful that we survived the past year and to reflect upon our future. Homes are thoroughly cleaned with bamboo leaves to chase away evil spirits. Door gods are pasted and lucky symbols are hung. Offerings are made to the Jade Emperor with money for continual “Prosperity” for the family and fresh fruit for “Good Luck and Good Health”! Lions and dragons dance down the streets of Chinatown to “repel evil and bring Good Fortune” for the community and shops. Red envelopes filled with money are gifted to family, friends and new acquaintances to share blessings and welcome “Good Wishes and Good Luck”! Oranges, fresh fruit and sweet cakes are offered to friends and family for “Good Health”! During the auspicious period of the New Year from the first to the 15th day of the lunar month, superstitious Chinese refrain from saying anything bad or referring to sad events or unhappiness. They believe that unlucky events will be repeated over and over again during the rest of the year. Nothing should be broken during this festive season. Breaking of articles will result in the breakup of a marriage or family unity. Noodles are eaten to promote “Longevity” and eating fish for “Success”! Many Chinese visit the temples to pray for “Good Fortune and Good Health”! Many elderly people in south China abstain from eating meat on the first day of the new year because it is believed that this will ensure long and happy lives for them. The Chinese language is composed of characters rather than letters. Calligraphy is considered to be a sacred art form which have a colorful, symbolic and evocative language. Therefore, one can make a lot of interpretations when reading Chinese characters. When reading one’s Chinese horoscope or dining at one of many local Chinese restaurants, you will definitely encounter the Chinese zodiac – the twelve animals or creatures where each animal has a very unique character trait. Each year marks a special quality and personality. The Monkey is 9th animal of 12 zodiac signs. The Monkey is considered to be quick-witted, curious, playful, innovative and mischievous. 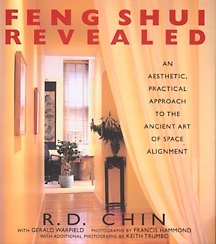 So, when you combine all these interesting concepts of culture, language, animals, symbolism and nature, one of the most fascinating and accurate system, The Four Pillars of Destiny – also known as the Ba Zi, was created and is considered an accurate tool for predictions. This unique system has all the information about time – year, month, day and hour – which is presented as the “Five Elements” – metal, water, wood, fire and earth, which is a fundamental concept of all the relationships in Nature. By analyzing the relationships, interactions and qualities of these five elements, one can compose a map of our future. the Year of the Monkey – Yang Fire sitting on top of Yang Metal – or it is known as the Heavenly Stem above the Earthly Branch. According to the laws of nature, Fire melts the Metal which normally means disharmony; or we could interpret this combination as “balancing” these seemingly opposite elements. So, from this perspective, this year will prove to be a lot of conflicts; but the yang fire symbolizing the sun always brings optimism, honesty, possibly a quick temper, but also warmth. And yang metal brings directness, justice, decision-making, and righteousness; therefore, it will be much easier to reach agreements, create compromises and concessions, and to resolve conflicts for this upcoming year. In Chinese medicine, the Fire element is associated with the heart and blood circulation; it is also related to the shoulder and the small intestines. Metal is associated with the lung, skin, nose and teeth. And the Monkey can be associated with the colon and lung. If you have a Tiger or Snake in your Four Pillars chart, please take care of your physical body; this year’s zodiac combination will cause inflammation, heart disease and high blood pressure problems. As this year is fire burning metal, please be beware of inflammation of the colon, nose or sinus problems, teeth problems and/or lung problems. Be vigilant and careful of bouts of influenza in your family or the community; it could be more serious for you in 2016. One can take suitable supplements to improve the immune system by taking anti-oxidant CoQ10, vitamin C and Omega 3 oil. 2016 the arrival of metal element is a good chance to exhaust the excessive amount of earth we gained in the last few years. So it is a good year to do more exercise, watch diet and lose weight, one will find these two years of Monkey 2016 and Rooster 2017 will be more effective to trim down excessive fat. The fire and metal element of 2016 is expected to bring “wealth and prosperity” to fire industries and water industries; this is because fire conquers metal, so the metal element is a symbol of money to the fire industry which include restaurants, metaphysics, electronics, computers, energy, entertainment, stock market, and finance. The second best industries will be water, as water conquers fire, so fire is money to the water industry. Water industries are transport, communication, and shipping. Earth industry is also positive as Earth produces metal, so it will be an active year for earth elements such as property, construction, high tech, and mining. In summary, the industries that will perform well in the year of the Monkey will be industries related to Fire and Water elements. In general, the Yang Fire Monkey year, with fire on top and metal below, is symbol of optimism and flexibility and progress. Since we are now a global community, there will be conflicts, disagreements and disharmony in our international relationships and this may not be a peaceful year; but, people remain optimistic, open-minded, confident and innovative to find solutions to overcome obstacles. I truly respect master Raymond Lo’s teachings and his predictions. Here is a quote of his predictions: “Regarding the economy, the Fire element is often the driving force behind the stock market. The five elements are also affecting people’s mood. In general Fire is joy, Water is fear, Earth is meditation, Metal is sadness, and Wood is anger. As such, fire year often generates optimism and drive up the stock market, such as 2006 and 2007. But in 2008 the water arrived and obviously people began to have fear about the worsening of the USA sub-prime problem and recession. So the financial tsunami occurred in the autumn of 2008 leading to a few years of instability in the world economy. The years subsequent to 2008 were missing the fire element, so the crisis and instability particularly in the USA and Europe prevailed until 2013, when the US economy showed strong recovery with the fire Snake year. In 2014, the Horse year which is the fire element continued to fuel the economy and it is obvious that USA and Europe are out of the bearish years. The animals combining with the Monkey year is the Snake, the Dragon and the Rat. If you have these animals in your chart, you are into a year of “Harmony”. For more reliable assessment of one’s fortune in the year of the Monkey, it is recommended that one checks the full Four Pillars of Destiny, which requires full birth data information of the Year, Month, Day and Hour of birth. One of the most famous symbolic stars is having the Flower of Romance which is also known as the Peach Blossom Star; this star brings glamour, romance and makes a person more charming and attractive to a prospective partner. Another interpretation is that your “fame or reputation” will be more highlighted! The Rooster is the “Flower of Romance” in the year of the Monkey. Therefore, for people who are born in the year of the Rooster or Rooster day, they can anticipate a more sociable year with more opportunity to develop close bonds with special friends or to find a loving partner or become more famous or known for their work or services. If you have a Tiger in your chart, this year is known as your “Traveling Horse”! The Monkey year will trigger more traveling and movement for people also born in the years of Horse and Dog. However, please be careful driving as more traffic accidents are noted during this particular zodiac combination. The Monkey is also the “Academic star” for people born in a Yang fire year. So 2016 is also a good year for all babies born this year! Each child will automatically have an “Academic star” in their chart which means intellectual quality and a strong desire to learn. People born in any year ending with the number 6, or 8 such as 1956, 1958, 1966, 1968, 1976, 1978….etc. will enjoy study, reading and have academic achievements. Another auspicious symbolic star is known as the Nobleman which means this person will always encounter helpful and supportive people in his life. 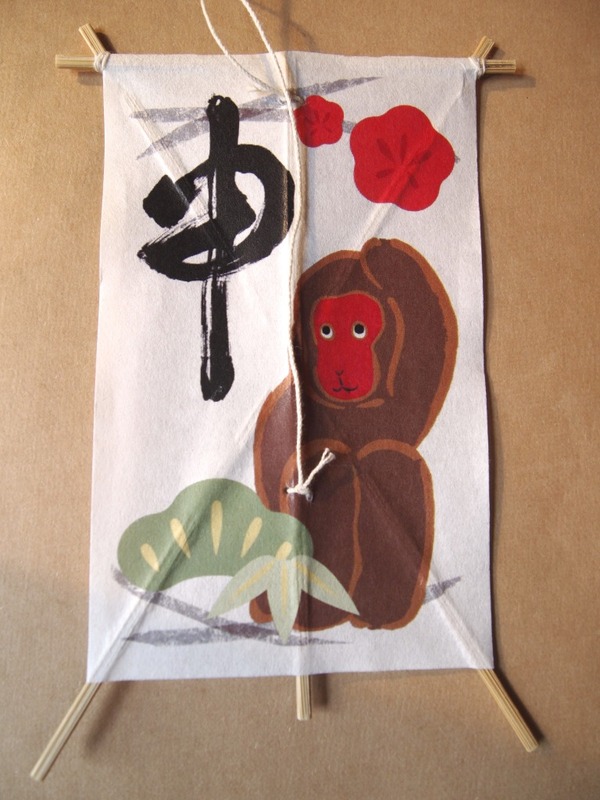 The Monkey is a “Nobleman” for people born in years or days of Yin wood or Yin earth Heavenly stems. This means any birth year ending with the number 5, or 9 such as 1955, 1959, 1965, 1969, 1975, 1979, 1985, 1989, and 1995, 1999…..etc. “Nobleman” is our protective angels who will come help us and make everything smooth and positive. The Tong Shu is used by many feng shui practitioners and destiny diviners to compliment other date selection methods for determining dates and times for important events like marriages, official opening ceremonies, house moving-in and big contract signings, as well as smaller events like time to start renovations or travel. I also factor in the chi energy of the New and Full Moons as well as being observant of Mercury Retrograde. However, only you will know whether these factors truly affect you. There are many websites to check your Chinese zodiac sign. I like to read different links to see the many and varied predictions. As the late grandmaster Lin Yun related this simple, but profound story: “We are like the blind man trying to “see” the elephant.” There are so many ways to interpret our possible future. But the most important concept is to know that you have the choice to determine your unique and special path. This entry was posted in Chinese Culture + Other Traditions on February 11, 2016 by admin.